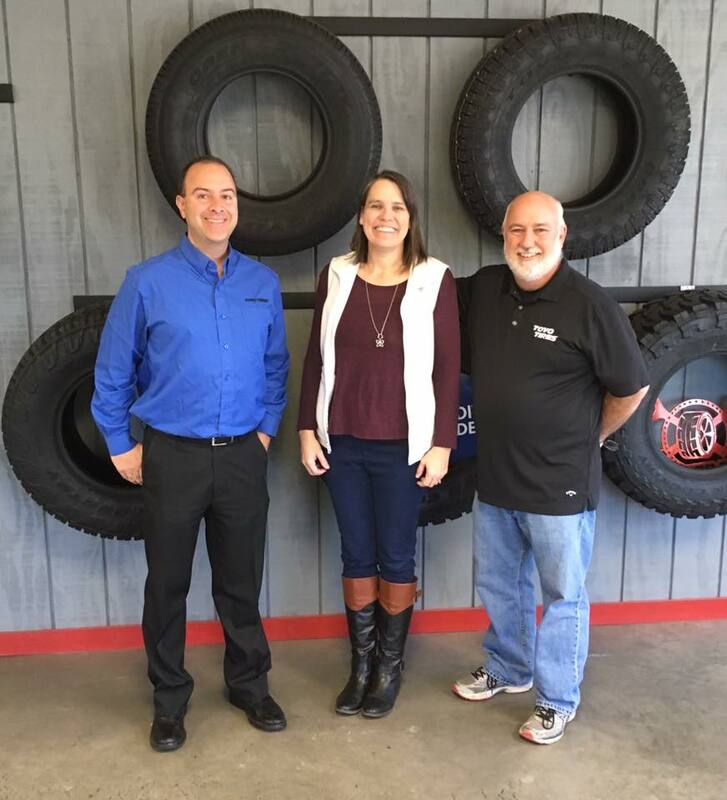 Fannin County Children’s Center Vice-President and owner of Warrior Tire Steve Collida (right) and Children’s Center Executive Director Sandy Barber (Center) enjoyed a recent visit with Jerry Granito with Toyo Tires (left.) Toyo Tires and Warrior Tire teamed up to provide gifts of $1,500 each to make a grand total of $3,000 in matching funds for the Children’s Center for North Texas Giving Day. In all, the Children’s Center raised nearly $10,000 for their future building fund in this one-day fundraising effort. These funds will be used to purchase land and/or build a newer, larger facility. More about Building the Dream of a new facility. This entry was posted in Kudos Corner, News. Bookmark the permalink.